2013 was a busy year at the Kaneko Studio. 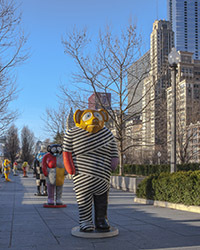 In April of 2013, Myths, Legends and Truths opened at Millennium Park in Chicago. 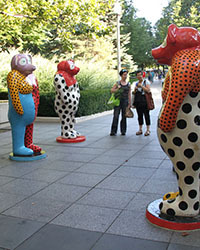 This exhibition featured 13 of Jun's 9.5' sculptural forms and 21 of his Tanukis. This new body of work was inspired by the myths & legends of the Japanese tanuki, which is a small raccoon-like animal that likes to live near people. From ancient times, the Japanese have expressed the tanuki in a variety of ways, for it is said to be a mischievous shape-shifte, able to take many forms. The exhibition closed November, however the Tanukis will be on view starting April 8th and continuing to May 19th of 2014 at the Kennedy Center's Hall of Nations. Kaneko also completed a two-phase permanent public installation, Five Dangos and Expansion at the Des Moines Riverwalk in Des Moines, IA. 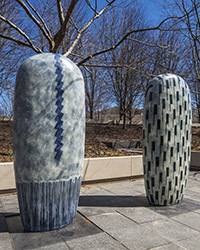 His design for the lobby of 1000 Connecticut, a new high rise building in Washington, D.C., was unveiled, featuring Current, a tile mural, and two large free-standing Dango sculptures. Kaneko was asked last winter to participate in Sarasota’s Seasons of Sculpture VII, an annual installation of large scale sculptures in Sarasota, FL. Two Dangos and the beautiful blue Pittsburg Project Head will remain on view along the bay front until next November. 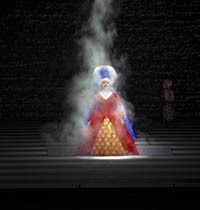 His new opera design for The San Francisco Opera’s production of Mozart’s The Magic Flute was on tour throughout the United States, with performances at Opera Carolina, Opera Omaha, The Lyric Opera of Kansas City. 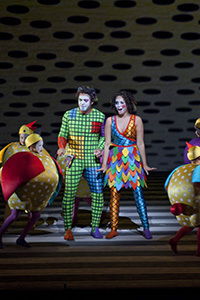 The next performance of the Magic Flute will take place in May 2014 at The Washington National Opera at The John F. Kennedy Center. 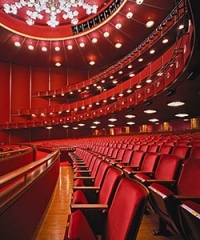 His production of Puccini’s Madame Butterfly, which premiered at Opera Omaha in March 2006, will be performed in June 2014 at the San Francisco Opera. "to change the space so a binding relationship united the concepts of the artwork with these surroundings and create an inviting place that people enjoy using and want to be within. My goal is to create artwork that contributes positive energy and design that engages the endeavors and imaginations of both intermittent and consistent visitors." Lastly, two galleries will have shows of Jun's new work: the Locks Gallery in Philadelphia, PA, opening May 2nd, and the Gerald Peters Gallery, Santa Fe, NM, August-September. "For me developing an opera design starts simply by listening to the music until a visual image begins in my mind. This process usually takes two to three month of immersing myself in the opera by listening to it 200 to 300 times... to me opera is music and stands alone as such. The stage, costumes, and lighting design are supporting elements and visual expressions. The design I create needs to integrate with the music naturally and spontaneously so that we feel the music and design as one unified expression rather than experiencing the music and stage production as parallel. 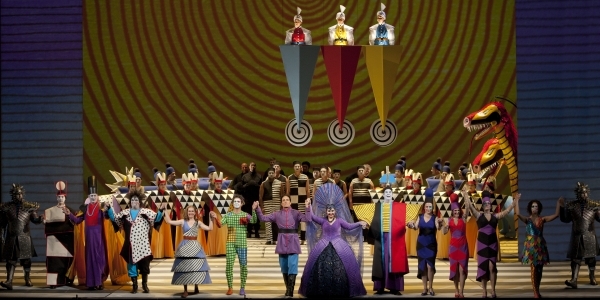 Integrating all the synchronous connecting elements in an opera is the most difficult challenge in its design. My goal is to find a way to shrink the distance between the music and the visual elements and to conceive visuals that fuse the music and design as one experience." The Magic Flute will be performed on May 3, 5, 7, 8, 10, 11, 15, 16, 17, 18. Further information may be found here. 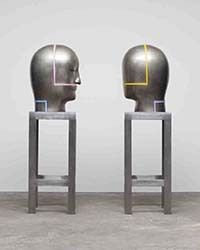 Hybrid extensions of the artist’s Eastern and Western identities, Kaneko’s works balance elements of both American and Japanese aesthetics. His figures, as well as the meditative and reflective qualities of his pieces, are rooted in Japanese culture and mythology, but the monumental, public scale of his work descends from the American modern tradition. The works resulting from this transcultural heritage create a unique artistic statement that functions as a universal language for all viewing audiences.Organized in conjunction with The Magic Flute, this exhibition will showcase three aspects of Jun Kaneko's sculptural work. The indoor installation at the Hall of Nations will be open to the public from April 8th to May 19th. 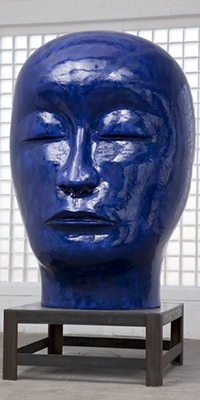 Copyright © 2014 Jun Kaneko Studio, All rights reserved.